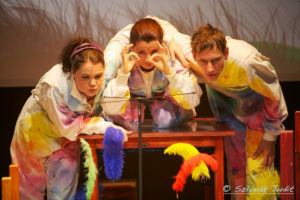 Squirmers, these curious, tumbling worm-like creatures get involved in various exciting adventures during the half-hour-long play. 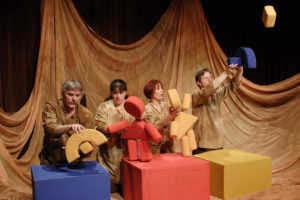 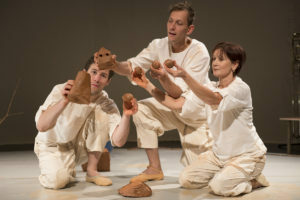 This is a real play for infants – with hands, legs and puppets. 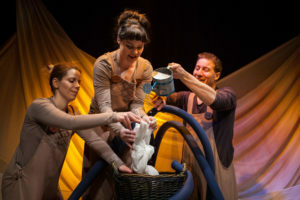 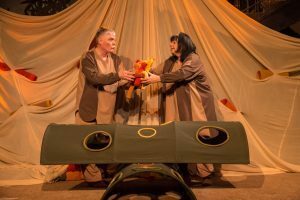 A “sense-opening” play for the smallest and the older, to experience the past from today’s point of view.